Upgraded model now with 960H recording on each channel. All Active Electronics surveillance packages include a professional grade digital video recorder with features such as adjustable video quality, H.264 compression, external USB drive support, RS-485 PTZ camera control, file management, date/time stamping, schedule, motion and alarm triggering. Ethernet connection allows monitoring via your PC web browser or smartphone. Simply add a hard drive and go! 4 x 20m BNC & power combo leads. 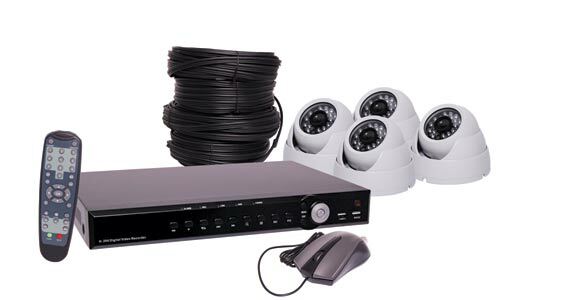 All Active Electronics surveillance packages include a professional grade digital video recorder with features such as adjustable video quality, H.264 compression, external USB drive support, RS-485 PTZ camera control, file management, date/time stamping, schedule, motion and alarm triggering.